Change in the construction sector is being driven by two fundamental elements: human expansion/development, and technological breakthroughs (leading to projects like the additional 3.8-mile-long channel for new locks in the Panama Canal). Population growth and technology have, in turn, forced and allowed us to utilize natural resources (like the $59 billion Three Gorges Dam in China) on a scale and in ways we’d never imagined in the past. The enormity of many of these projects is demanding cooperation between professionals, companies, and governments across industries and territories, which is likely to spur innovation at a rapid rate. But there is a price to pay in the form of the strain we’ve put on our natural environment. 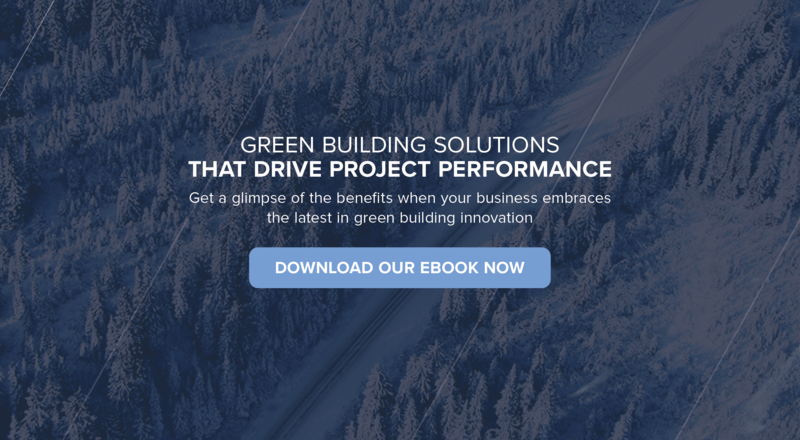 As climate change accelerates, there is a new sensibility around green building practices and environmental regulations and penalties. Having a look at the challenges faced by the engineers and managers on three of the world’s most extreme construction projects gives some insight into what it takes to deliver next-generation projects, on time, and on budget. The reason for building the Laerdal Tunnel was to connect Norwegian communities that became cut off from each other in the long winter months by mountains, glaciers, and fjords, and faced difficult mountain crossings and ferry rides in extreme weather. One of the biggest challenges facing engineers was tunnel lighting. Without an innovative lighting solution, chances were high that drivers would lose concentration during the monotonous 20-minute tunnel drive or suffer claustrophobia which could lead to accidents. The solution was to include slight curves between straight stretches of road, and large caverns at 3.7-mile intervals. These caverns break the tunnel’s monotonous view and provide drivers with pull-off places where they can rest or turn around. Engineers used white light in the tunnel but placed blue and yellow light in the caverns to gives drivers the illusion of driving into daylight every 3.7 miles. A loud rumble strip was placed in the centre to stop drivers’ losing concentration and causing head-on collisions. The extraordinary length of the tunnel presented engineers with another challenge: that of air quality. Enormous fans were built to draw air from both entrances, while polluted air was expelled via a ventilation tunnel 11 miles from the Aurland end. This resulted in the tunnel being the first in the world to be fitted with an air treatment plant that removes dust and nitrogen dioxide from tunnel air. Bertha’s job in June 2013, was to cut a 1.7-mile tunnel so workers could reconstruct the Alaskan Way Viaduct. The elevated highway in Seattle was old (first opened in 1953) and had been damaged in a 2001 earthquake. Bertha broke down at 1,000 feet after the temperature inside the machine spiked. Contractors believed that an 8-inch steel well casing damaged her front blades. Following the advice of engineers to replace the seals on the main bearing, workers dug down 120 feet, pulled Bertha’s cutting head to the surface, and did the repairs on site. It took technicians two years to affect the repairs and send her on her way. In total, Bertha clawed her way through 9,270 feet and placed more than 1,400 concrete rings along the way to form the outer wall of one of the world’s biggest and most complex tunnel mining operations. In December 2015, she finally broke through the concrete wall of a specially constructed disassembly pit where she was cut into 20-ton pieces and pulled out. Following the Bertha-saga, entrepreneur, Elon Musk, said he believed there were better ways to build tunnels. He has begun to dig a test trench outside his SpaceX headquarters in Los Angeles. His hope is to increase the speed of tunnelling by 500 to 1,000%. His aim—to build a network of tunnels up to 30 layers deep with traffic moving in three dimensions. The world holds its breath. The most expensive, as well as scientifically and environmentally challenging construction project ever undertaken, is the International Space Station that circles the earth every 92 minutes at five miles a second and an altitude of over 200 miles. Just as space exploration has revolutionized life on earth with innovations like velcro, aural thermometers, radial tires, enriched baby food, and solar energy, so it is helping us to push the boundaries of built environments. A second lesson that translates from the construction of the ISS to that on earth, is striving for smart and affordable solutions. Federal budgets for the space program have dropped drastically since the 1960s, which means that continued work on the ISS has called for affordable and creative solutions. One of the latest developments is NASA’s use of an expandable space station module created by Bigelow Aerospace. The expandable module will be quicker and easier to construct than anything that has gone before. If successful, the module could lead to the development of expandable habitation structures for future crews travelling in deep space. The application of this technology in Earth’s built environment will depend on the outcome of the module’s structural, thermal, and radiation performance. Highly-durable, easy-to-erect and easily transportable, expandable modules that can withstand the most extreme conditions on Earth, have the potential to positively impact the construction industry and its carbon footprint.